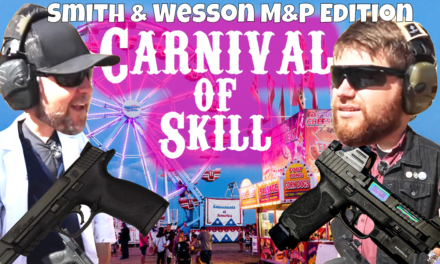 Why a concealed carry showdown? There are many rivalries in the firearms world; .45 vs 9mm, AK vs AR, Polymer vs Steel, it goes on and on. As someone who tries to see the world as shades of grey, I see pros and cons in most of these arguments. But one of the biggest debates I find myself having with friends and strangers alike is subcompact semi-auto vs snub-nosed revolver for concealed carry. In my opinion, they both have their valid uses. In this article, I’ll do my best to lay out my arguments as to why both are relevant in today’s world of polymer framed wonder nines. I’ll start by explaining why I choose to carry what some would call a pocket gun. I am a concealed carrier. What many don’t understand going into the world of concealed carry is that large guns seem much much larger when you wear them IWB under a shirt for 10 hours straight. Carrying a firearm concealed is, as the Supremes would have said, “a game of give and take”. You either need to wear baggy clothing with a concealment garment, or carry a small gun. The tighter the clothing, the smaller the gun. 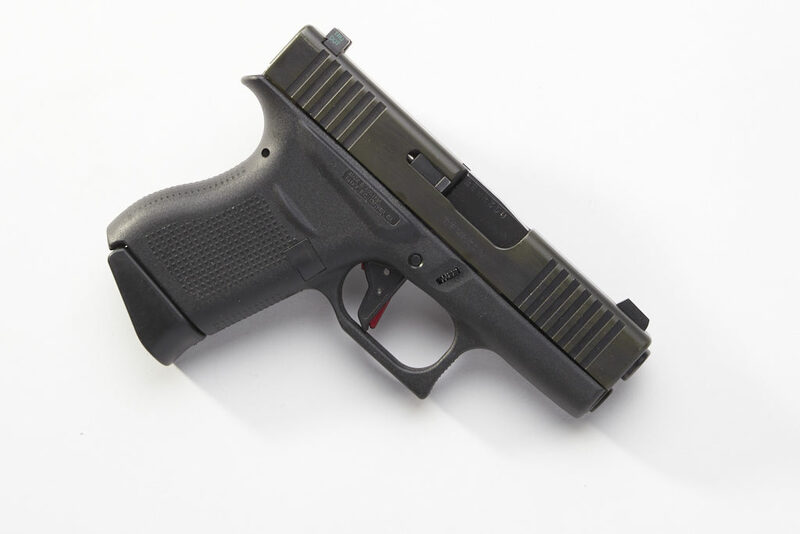 Glock 43: The Glock 43 is a polymer framed striker fired handgun, just like every Glock ever produced. The difference here is that the gun is tiny. It’s a single stack pistol that holds 6+1 rounds of 9x19mm ammunition. With a barrel length of 3.41 inches and OAL of about 6”, it’s quite small. The total loaded weight is 20.64oz. The pistol uses Glock’s pre-set trigger system, meaning that when the slide is racked the striker is cocked part way. Just far enough that under catastrophic failure it doesn’t have the energy needed to ignite the primer of the round in the chamber. When the trigger is pulled the striker is cocked the rest of the way and released. The factory trigger is about 5.5lbs. You can buy a Glock 43 here! Smith and Wesson 642: The S&W 642 is a 5 shot snub-nosed revolver. 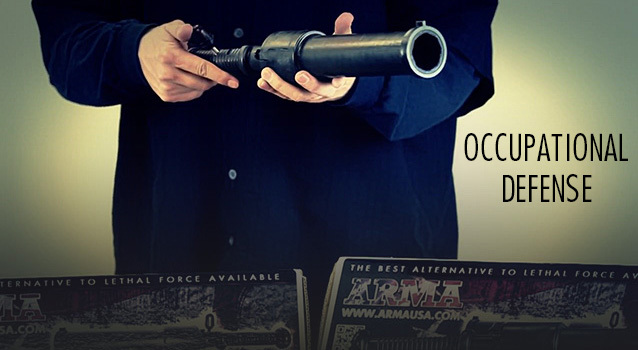 With its 1.87” barrel and aluminum frame, it comes in at 6.3” OAL and a loaded weight of 14.5oz. The trigger is long but somewhat smooth with an out of the box weight of about 12lbs. It ships with a set of rubber grips. The 642 is chambered for .38 Special, and will also handle +p ammunition. It uses the typical fixed sight setup found on small revolvers. Unlike many revolvers, the 642 has an internal hammer. It’s completely enclosed in the frame, meaning there is nothing to snag the hammer on, nor is there any way to fire the tiny wheel gun in a single action mode. 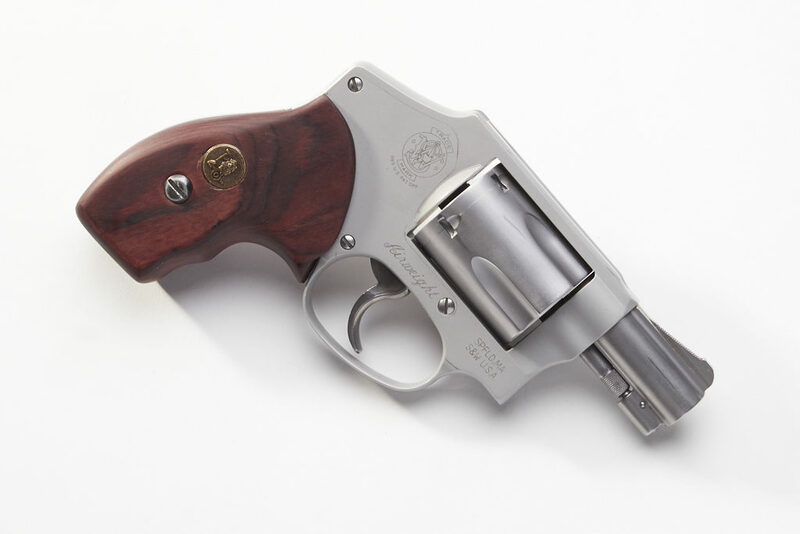 You can buy a Smith & Wesson 642 here! Both of these tiny guns are easily concealed. Their small size and low weight mean that they’re at home in just about any clothing option. I have found that the shape of the 642 means it’s little easier to conceal. The Curved grip doesn’t look as gun-like as the Glock’s squared angles should it print. The lighter weight of the 642 means I don’t always need a belt to keep my pants up. 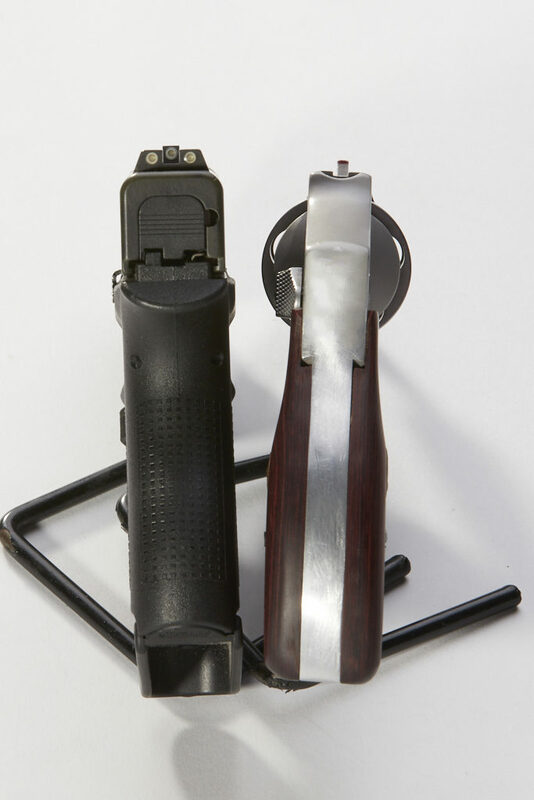 The 642 is also thinner through the barrel, grip, and frame. The cylinder is noticeably wider than the Glock 43, however, usually, that extra width is directly behind my pant line or belt, making it easier to hide. 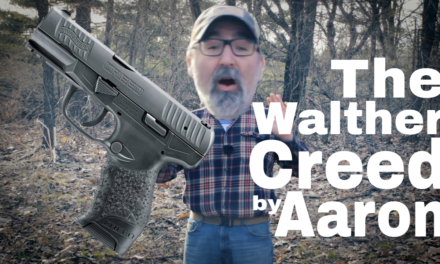 Concealability and EDC go to the 642 without a question. The 642 is a lightweight gun. Combining this with +p ammunition means that after a box of ammo, it feels like you’ve caught a ball peen hammer to the palm. It’s not a pleasant gun to shoot. Larger rubber grips make the gun more comfortable to shoot, but obviously, they also ruin the concealability. The short sight radius and basic sights make it difficult to get a good sight picture quickly. The long heavy trigger means that it’s quite easy to pull shots and shoot low. Because of these issues, the 642 is difficult to shoot well. It takes practice to get good, though the felt recoil makes it unpleasant to practice with. A couple hundred rounds leave my hand and wrist aching. Reloading the 642 is also a skill that takes much more practice than simply inserting a magazine into a semi-auto pistol. The Glock 43, on the other hand, is not unpleasant. The sight radius is short, but the factory dot and notch sights are easy to pick up and align. 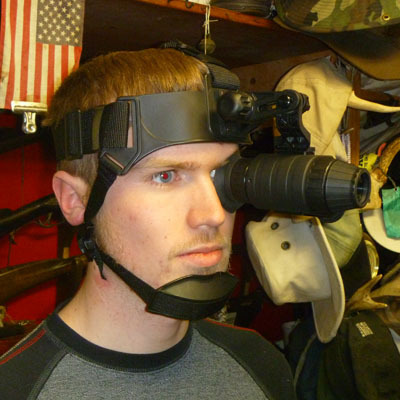 It’s also possible to replace the sights with tritium or fiber optic sights. The trigger is shorter and lighter, making it easier to land shots on target. Shootability, without question, belongs to the Glock 43. The Glock 43, as previously mentioned, has replaceable sights. 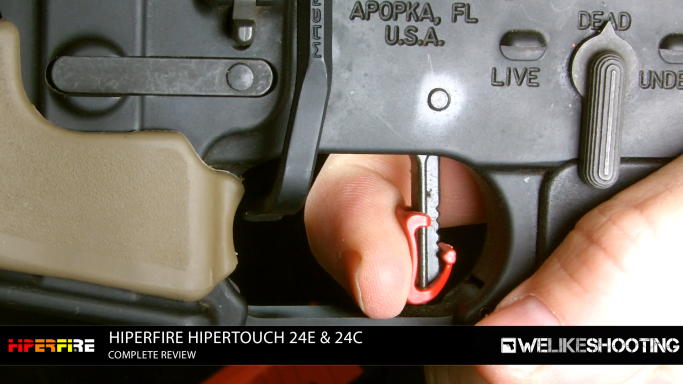 It’s also possible to replace almost every part of the firearm with ease. 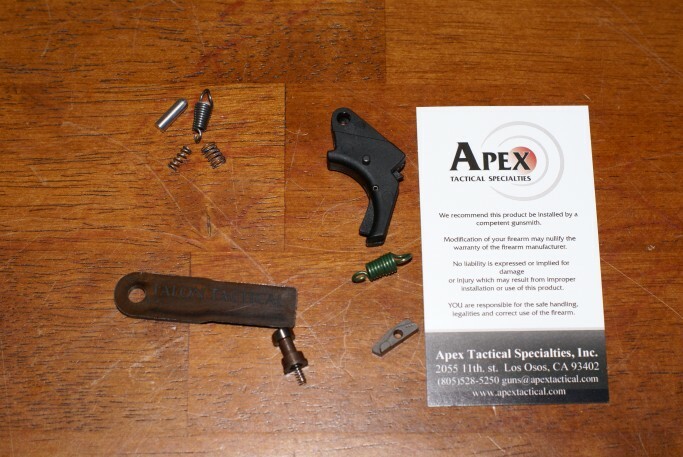 Even someone new to the subject can install an adjustable trigger, a different barrel, a connector, and spring, etc. It’s even possible to install a light or laser should you be so inclined. The 642, on the other hand, is not an easy firearm to work on, anything other than cleaning or swapping grips should be handled by an experienced individual. Having said that, the 642 is also limited. The sights can’t be changed. There are triggers, spring kits, grips that feature lights and lasers, etc. but not to the same extent as the Glock. While the 642 can be made to better fit a shooter’s hands (thanks to interchangeable grips) that’s about all that can be done cheaply or easily. Customization goes to the Glock. While .38 Special isn’t an especially expensive cartridge to shoot, it is more costly than 9mm. Right now Ammo Engine shows a low of 0.14/rd for 9mm vs 0.18/rd for .38 spcl. While that may not seem significant, that puts a box of 50 rounds at $6.89 for 9mm or $9.95 for .38 spcl. This is further magnified when looking at cases of 1000 rounds; $139.80 for 9mm compared to $184 for 38 spcl. 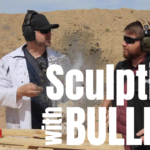 Over time that cost will impact training time with an already difficult-to-shoot revolver. 9mm is also far more popular than .38 spcl, making ammunition selections smaller in many stores. Defensive ammunition will typically run around the same. Because of the lower cost, and greater selection, the Glock 43 wins this round. Both of these pistols have been very reliable for me. The only failures I have experienced were with the Glock 43 and were user error and bad ammunition. Because of its lightweight, it’s easy to rob inertia from the slide by “limp wristing” the pistol. It’s also easy to ride the slide catch on the gun, meaning that it does not lock back when empty. The revolver, on the other hand, is immune to limp writing, and most ammunition issues are fixed by simply pulling the trigger again. This is not to say that revolvers never jam because they do, in this case, however, reliability is awarded to the S&W 642. The Glock 43 can be had in the $450 range. It ships with two magazines, but you’ll probably want a couple of extras. Magazines are about $20 for flush fit or around $25 for a magazine with a pinky extension. I prefer to carry the flush magazine in the gun, with an extended magazine as a backup. So for the cost of the gun and two magazines, we’ll estimate a rough $500. The S&W 642 comes in at a lower $400 price range. Obviously, the j frame doesn’t ship with any magazines, but speed loaders are available for anywhere from $10 to $35. Luckily for me, I happen to prefer the $10 HKS speed loaders. I prefer to have three speed loaders or four magazines when training, putting the cost of a 642 at roughly $440. Holster cost and maintenance will be roughly the same for either firearm. Because it leaves you with an extra $60 for ammo, I give the cost category to the 642. Black Rhino Concealment makes holsters for both. Use code WLSMOFO to save 10%! This comparison has both guns with an even score or 3 points each. I’ve tried to be partial in my comparison so far, so this is where my opinion comes in and breaks the tie. I love the little S&W 642. It’s fun on the range, and it carries so well. However, The Glock is simply a better all around gun. The Glock is still very comfortable to carry, it holds an extra round in the magazine, as well as a round in the chamber, meaning it’s 7 rounds rather than 5. It’s cheaper and more comfortable to shoot, meaning it’s more pleasant to train with it. The sights and trigger are easier to use, meaning I feel more comfortable with it. If I could only have one carry gun, it would be the Glock. Having said that, I don’t plan to get rid of the S&W any time soon. Its low weight and its form mean that I can even carry it in gym shorts and a light t-shirt. I consider it to be a more specialized carry gun. Special thanks to Joseph Baldwin Photography, Brownells, and Trident Defense. I am a terrible photographer, and Joe has been nice enough to take the photos for this article for me. If you’d like to see more of Joe’s excellent work, you can see it on his Instagram account @joecbaldwin. 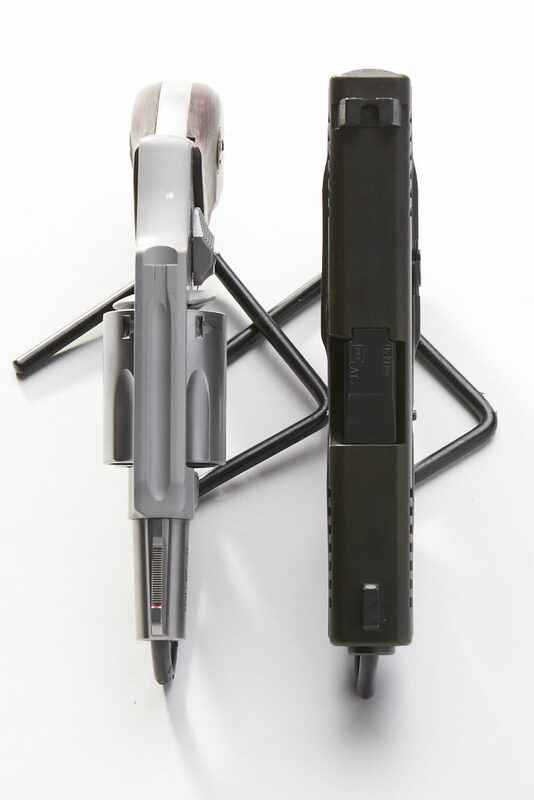 Brownells also supplied the firearms for the article, as well as some of the parts, including a spring kit for the J frame, and night sights for the Glock. Trident Defense was kind enough to provide one of their fantastic adjustable triggers!